John Tavares scored two goals, Mitch Marner had a goal and two assists, and the visiting Toronto Maple Leafs defeated the Columbus Blue Jackets 4-2 Friday night. Frederik Gauthier also scored for the Maple Leafs, who won their fifth game in a row and stopped the five-game winning streak by the Blue Jackets. Nick Foligno and Artemi Panarin scored for the Blue Jackets, who were playing their second game in two nights while the Maple Leafs were playing for the first time since Sunday. 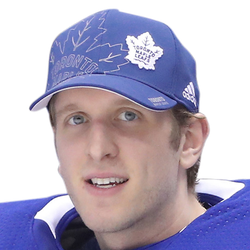 Garret Sparks, Toronto's backup goaltender, made 27 saves. 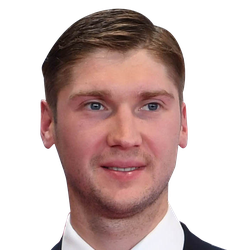 Blue Jackets goaltender Sergei Bobrovsky made 25 saves in defeat. The teams had split their first two meetings this season. Tavares saw Nazem Kadri's deflection of Marner's shot skitter off his skate and between Bobrovsky's legs on a power play at 2:22 of the first period. Josh Anderson was serving a tripping penalty. Foligno snapped his 10th goal of the season from the right circle through the five-hole at 4:47 of the first to tie the game. Alexander Wennberg and Seth Jones earned the assists. Tavares notched his 26th of the season at 18:04 of the first period on a wrist shot from the left circle to the top right corner after working a give-and-go with Marner. The chance started with a Columbus turnover in the neutral zone. Early in the second period, Zach Werenski hit the post on a two-on-one for Columbus. The Maple Leafs scored the only goal of the second period. Marner finished a two-on-one with Auston Matthews with a shot from the right circle for his 13th goal at 9:46, giving Toronto a 3-1 lead. Jake Gardiner also earned an assist. Toronto's Kasperi Kapanen and Columbus's Scott Harrington were serving roughing penalties when the goal was scored. Par Lindholm passed from behind the goal in front to Gauthier, who scored his second goal this season at 13:44 of the third period. Panarin scored his 12th this season and 100th of his NHL career at 18:32 of the third. Werenski got the assist.